8 Mercy and Compassion B. 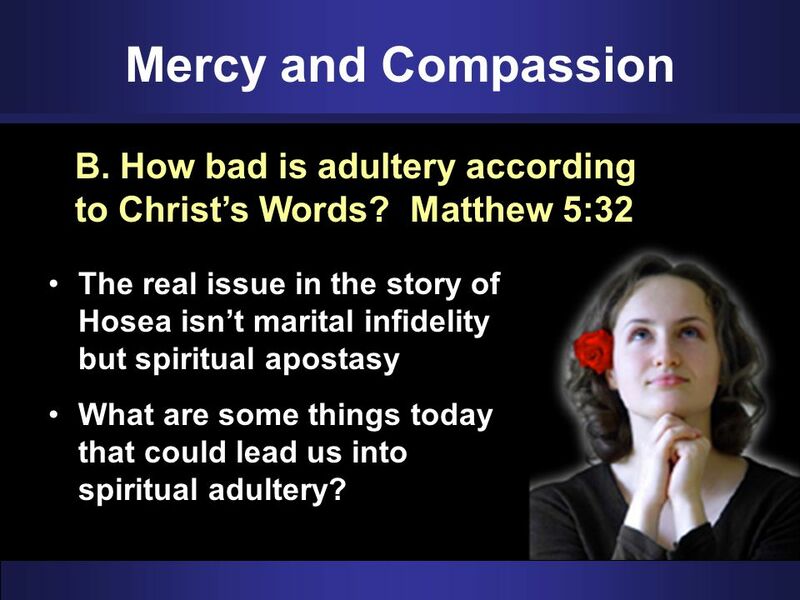 How bad is adultery according to Christ’s Words? 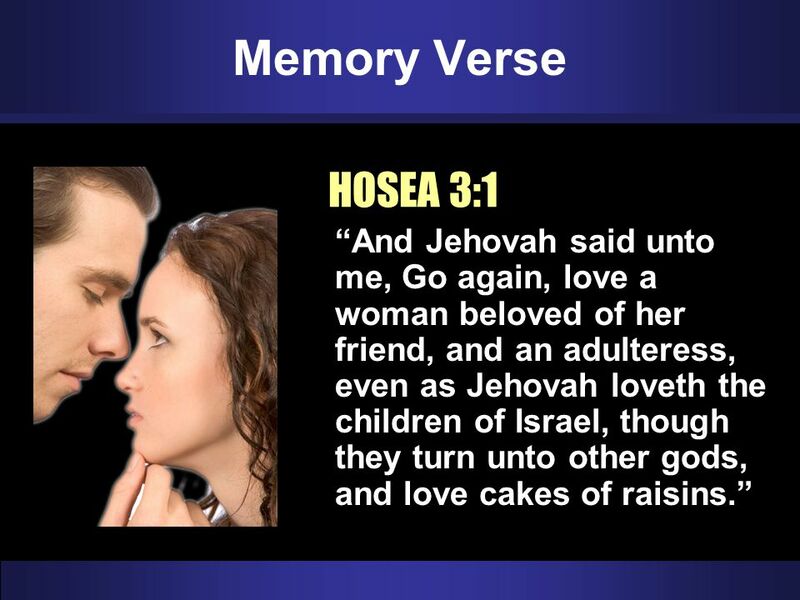 Matthew 5:32 The real issue in the story of Hosea isn’t marital infidelity but spiritual apostasy What are some things today that could lead us into spiritual adultery? 11 Love and Forgive B. What does the taking back of Gomer symbolize? 14 Q APPLY How can this lesson about forgiveness affect my life today? Do we have the desire to show mercy and compassion to others? 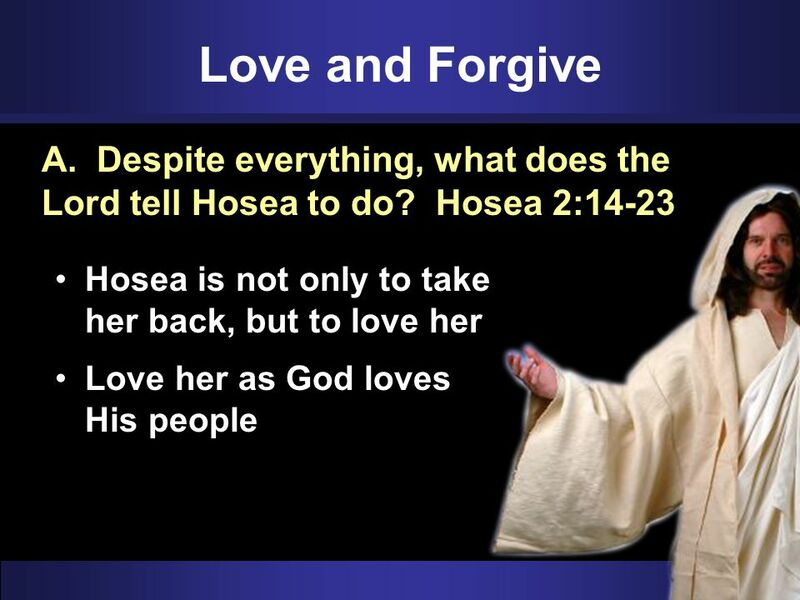 Do we have the desire to show love and forgive those who had sinned against us? 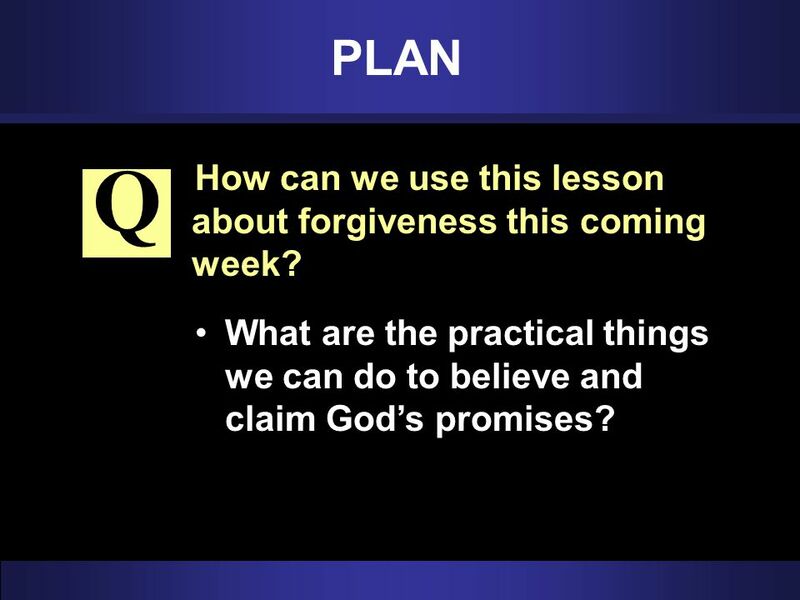 15 Q PLAN How can we use this lesson about forgiveness this coming week? What are the practical things we can do to believe and claim God’s promises? 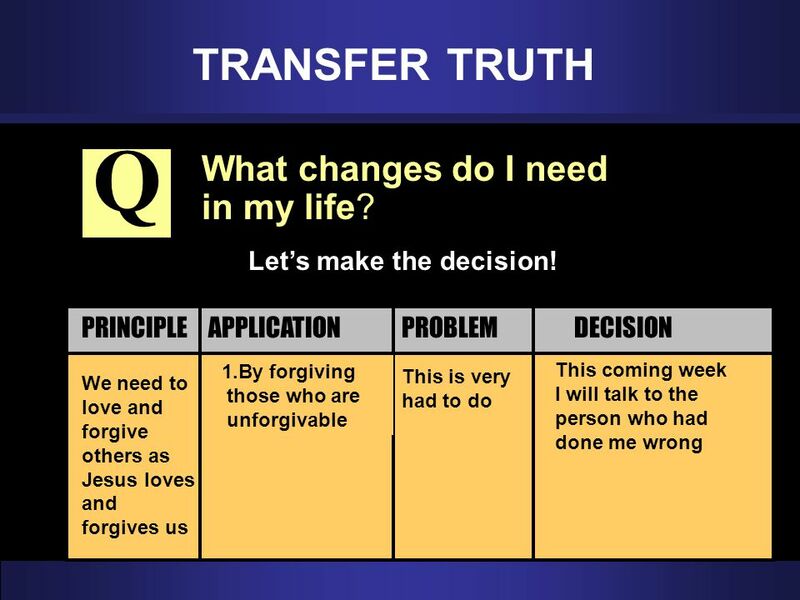 16 TRANSFER TRUTH Q What changes do I need in my life? What biblical principle from the lesson can we use today? 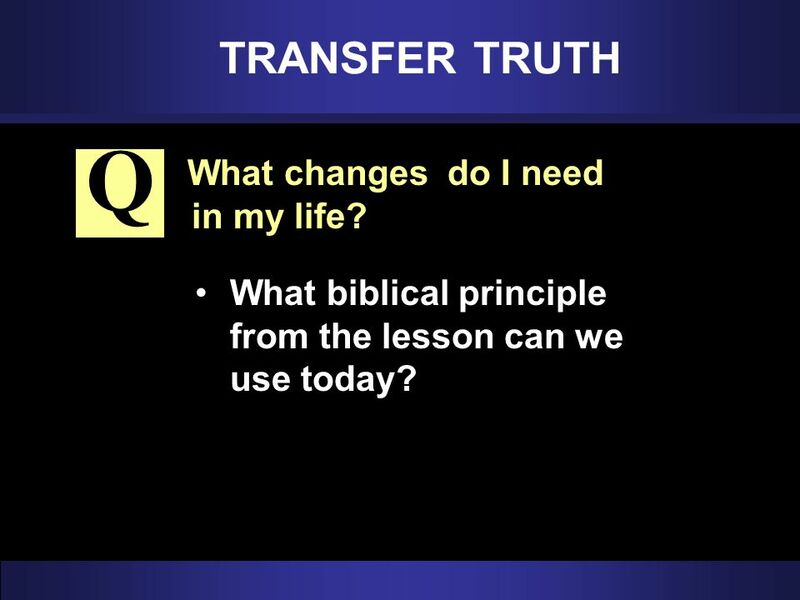 17 Q TRANSFER TRUTH What changes do I need in my life? 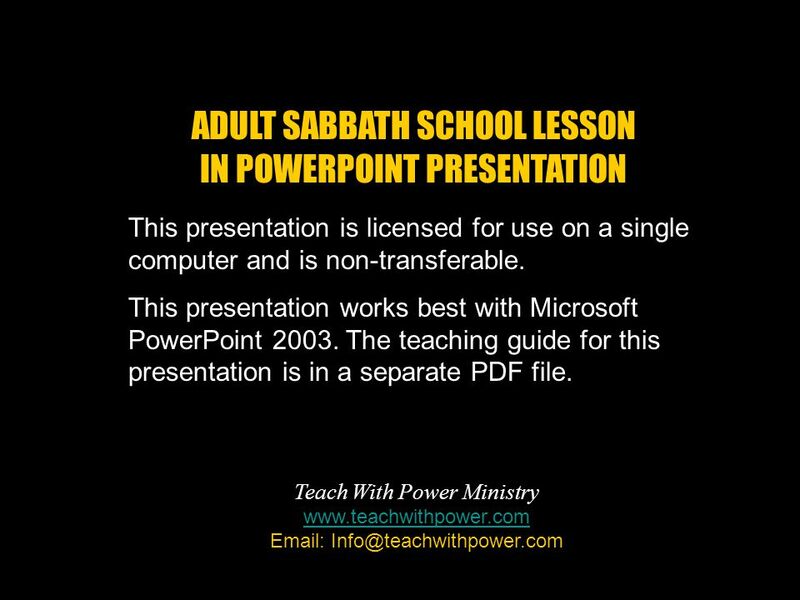 Download ppt "ADULT SABBATH SCHOOL LESSON IN POWERPOINT PRESENTATION"
Experiencing DISCIPLESHIP Experiencing DISCIPLESHIP Adult Sabbath School Lesson PowerPoint Presentation February 23, st Quarter 2008, Discipleship. 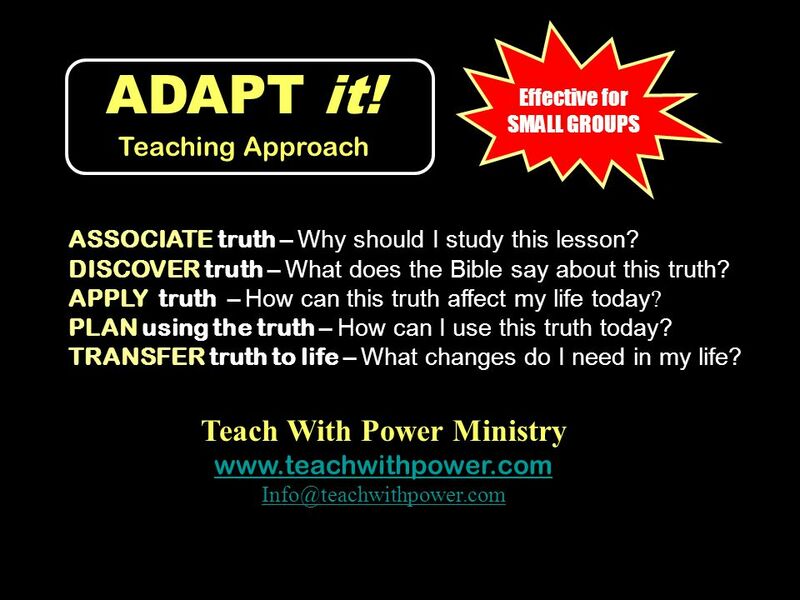 G O D ‘ S G R E A T M I S S I O N A R I E S ADAPT Teaching Approach Adult Sabbath School Lesson PowerPoint Presentation September 27, 2008 Here Am I; Send. Discipleship in Action Adult Sabbath School Lesson PowerPoint Presentation July 19, 2008 ADAPT it! Teaching Approach 4th Quarter 2007, Refiner’s Fire JOHN. The Wisdom of His Teachings The Wisdom of His Teachings Adult Sabbath School Lesson PowerPoint Presentation April 26, nd Quarter 2008, The Wonder. 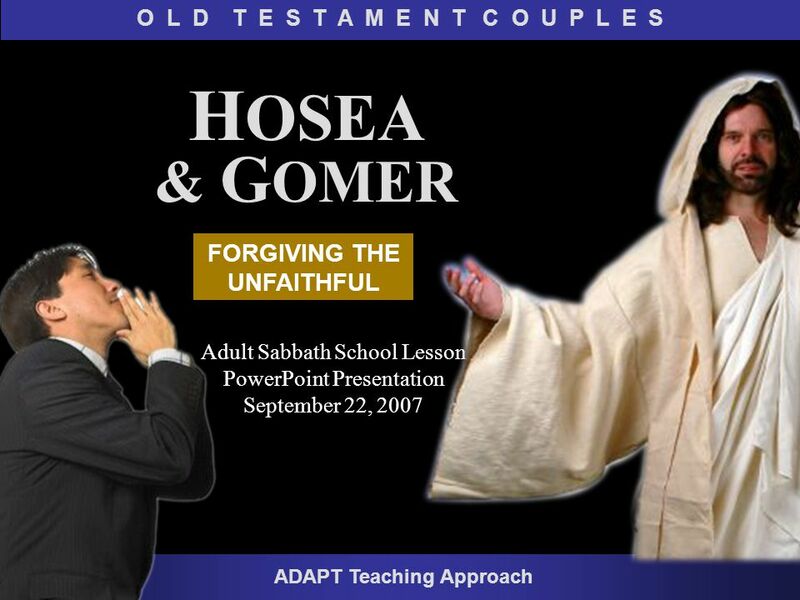 The ATONEMENT and the DIVINE INITIATIVE The ATONEMENT and the DIVINE INITIATIVE Adult Sabbath School Lesson PowerPoint Presentation October 25, th. This presentation is licensed for use on a single computer and is non-transferable. This presentation works best with Microsoft PowerPoint 2003. The teaching.